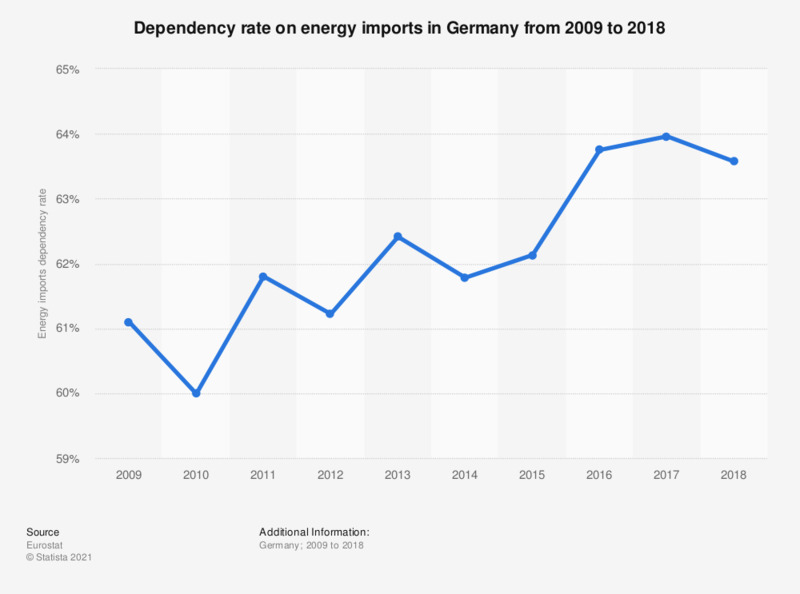 The statistic reflects the dependency rate on energy imports in Germany from 2006 to 2016. In 2016, the dependency rate on energy imports in Germany reached 63.5 percent. The source adds the following information: "energy dependency shows the extent to which an economy relies upon imports in order to meet its energy needs. The indicator is calculated as net imports divided by the sum of gross inland energy consumption plus bunkers." Data coverage corresponds to code tsdcc310 of the Energy Unit (E5). Statistics on "Energy Imports in the United Kingdom (UK)"